Have you ever wished there was one product that was a moisturizer, foundation, sunscreen, concealer and anti-aging cream all-in-one tube? Well, your dream is coming true. 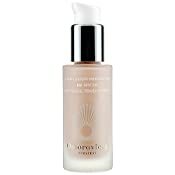 Introducing Omorovicza Complexion Perfector BB SPF 20. This BB (or Blemish Balm) cream leaves skin flawless, sheer and even all while hydrating and protecting it from harmful UVA/UVB rays. And unlike other BB creams, Omorovicza Complexion Perfector BB SPF 20 doesn't contain silicone, which can trap dirt and bacteria beneath the skin, triggering breakouts. Get ready to sport the picture-perfect skin you've always wanted. Essential Elements: Key ingredients in this product include Hyaluronic Acid microspheres to penetrate the epidermis and release hyaluronic acid gradually over time to plump fine lines, Vitamin C to reduce free radical damage and boost cell turnover, White Lupin to revitalize and Ruby Crystal to minimize imperfections. Also contains an SPF of 20. Size: 1.69 oz. For Best Effect: Smooth evenly all over face using a makeup sponge.